Did you know you can do more than just check out books at the library? Every time I tell someone the services our library offers, they can't believe it. Yes, you can really do that at the library! Yes, we are amazing and innovative. Yes, the best card in your wallet is a library card. 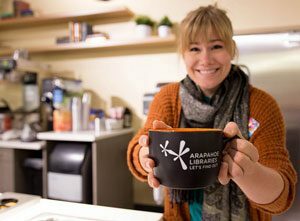 Here are 12 of my favorite things you can do at Arapahoe Libraries. So this truly has to be one of the best things you can borrow from the library. The pass isn't exclusive to us, libraries across the state also offer the passes to their patrons. This is a partnership with the Colorado State Library and Colorado Parks and Wildlifeopens a new window. 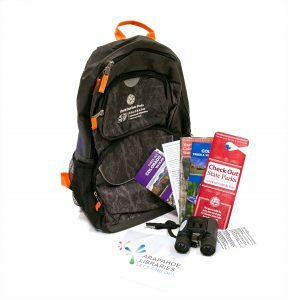 This pass comes in a backpack along with outdoor guides, activity ideas and binoculars. The pass gets you in to any of our 42 state parksopens a new window. How awesome is that. Make sure to take pics of your adventures and tag them #CheckoutColorado for all to see. 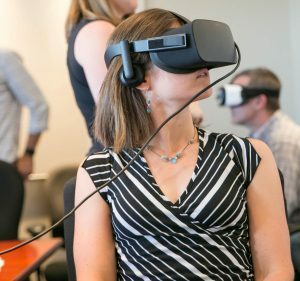 Drones, Samsung Gear, Oculus Rift, and HoloLens are just a few of the gadgets you can demo. We take these devices on the road, so book a tech roadshow and get hands-on fun for you and your friends or coworkers. The performance space at Koelbel Library was built in 2015 and has a big screen for movies with an amazing sound system. 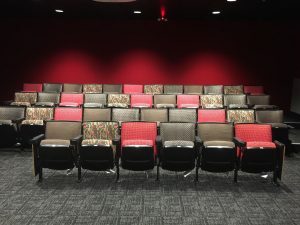 In addition to being used for movie screenings and other library programs, the Forum Theater is also available for the public to reserve, providing a perfect space for actors, directors, performers and more. 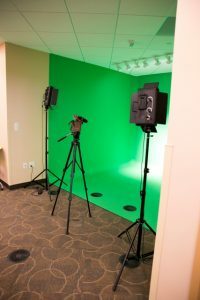 Our Studios at Southglenn and Smoky Hill libraries are soundproof and have a green screen. You can reserve the Studio for some solo work, or you can reserve a session with one of our expert studio librarians to help you. From music, video and web design, to electronics and game design, we have the tools and the staff to help you create your next masterpiece. Check out opens a new windowsome of the local bands that have recorded in our Studio. You don't need to be IN the library to use our wifi. 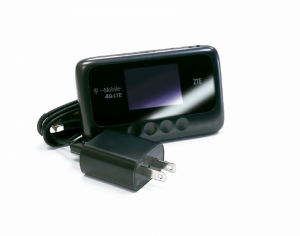 We have mobile hotspots that you can check out and take home, just like a DVD. They connect up to five devices and you can borrow them for a week. For the creative and curious alike, we have the perfect space for you to tinker, hack, craft and create. 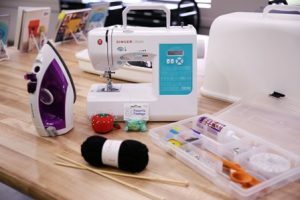 Our Makerspace has awesome tools like sewing machines, soldering irons, laser cutter, Silhouette Cameo, CNC and much more! You don't need an appointment to use the space, but if you'd like to utilize some of our more powerful tools or learn how to use something, you can schedule an appointment with a tech specialist. We also have fun programs every week. With Flipster and Zinio, you get instant access to the most popular magazines like People and US Weekly to read right from your computer, tablet or phone. They are full digital copies and the good news: you get to keep them! Hang out in our cafe. Smoky Hill and Koelbel both have beautiful cafes staffed with baristas to provide you with yummy coffee and delicious snacks. They are spacious and open and offer the perfect spot to read a book, work remotely or just visit with friends. Borrow a GoProopens a new window. 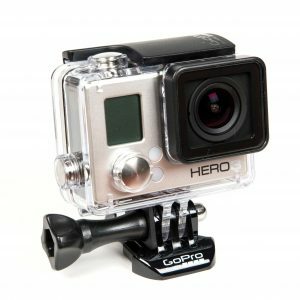 Have you always wanted to try out a GoPro without the commitment of buying? We can help you capture your life experiences and share them with others! This is one of the many cool devices we offer the community to check out and you can borrow them for a week. 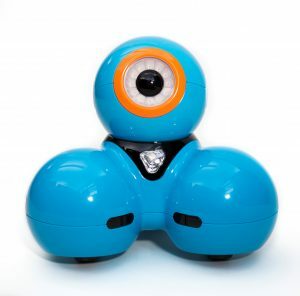 Dash and Dot are just two of our kid-friendly programmable robots you can take home. Dash is the explorer and Dot is the storyteller, and they can be used separately or together as a team. There is an app for every age group and learning level so it's fun for the whole family. All you need is your library card to start streaming music to your computer or mobile device with Hooplaopens a new window, which as a mobile app for your convenience. Print on our 3D printer. You can send us your design or get certified to use one of our Makerspace printers. If you are new to 3D print design, you can request the help of a tech specialist, or train yourself using library resources like lynda.comopens a new window or cookiecaster.comopens a new window, a great website for 3D design beginners. If you are interested in getting certified to use the printer on your own, reach out to a tech specialist for more info. We offer so many amazing things, it was really hard to narrow it down. What is the coolest thing you've ever done at the library? Share with us!